The word `creativity' has been used a great deal recently in relation to efforts to recover from the global financial crisis and re-launch economic activity. Little has been added to explain how and why an economic approach of creativity is useful and necessary. It is useful to understand how the most creative people work and think, and how to foster their creative productivity. It is useful to understand how organizations integrate and exploit creative ideas. 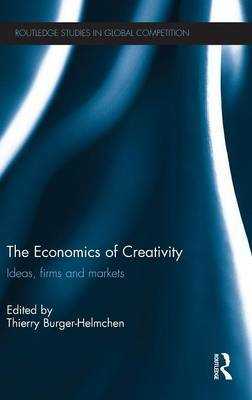 It is useful to understand how market mechanisms can handle creativity and how policies must be adapted. It is necessary in the light of the recent economic crises that made innovation, invention and creativity the basis of a new industrialization and fuel for a new economic development.